Ahead of Sunday’s clash between Mayo and Donegal, we asked our contributors for their thoughts. 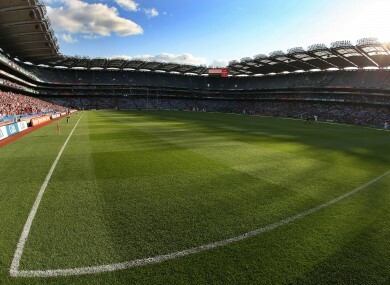 All-Ireland finals are always brilliant occasions and the level of football served up is almost immaterial because having such a huge prize at stake will command the interest. The intriguing thing in my view will be the midfield area and the battle that ensues there. The pairings excelled in their respective semi-final victories over Cork and Dublin. I’m really looking forward to see what unfolds when they collide on Sunday. Think of landmark All-Ireland final days and we think of occasions like Galway in 1980, Clare in 1995 and Armagh in 2002. Those were wonderful September Sunday’s when counties made memorable breakthroughs, concluding barren spells as they finally tasted the success they craved. Sunday is going to be an occasion similar to that. Whether it is Donegal winning only their second All-Ireland title or Mayo washing away the hurt of 61 years to lift Sam, the atmosphere, noise and scenes in the immediate aftermath of the game should be amazing. For any neutral it will make for a brilliant spectacle. I remember getting some serious grief when I suggested on Twitter in mid-July that this could be Mayo’s year, only then for Donegal to really start hitting their form, putting together high scores and not conceding very many themselves. It seems Donegal haven’t really had a stuttery patch yet this season, while Mayo have just kept themselves ticking over (and did just enough in the first half against Dublin to see off the Dubs’ revival) – so really I’m interested to see if Donegal can keep themselves in gear and complete a perfect season, or whether Mayo have enough in the tank to upset the game plan and finally take off the bridesmaid’s dress. Being able to sit back and take in what is bound to be an intriguing spectacle as a neutral fan. Although there is nothing like the feeling of your county contesting an All-Ireland final, the overwhelming emotion which the occasion brings can prevent you from enjoying the football on show. It has been great to see Donegal achieve success under the guidance of Jim McGuinness while Mayo must also be admired for reaching this year’s final. You could feel the anticipation among both sets of fans grow all week and, whatever the result, it will be one of the memorable sporting days of 2012. Quite simply watching the culmination of their respective fascinating journeys to get to this stage. It’s always intriguing to watch Donegal play. Their emphasis on tactics and a more strategic and innovative style of play has definitely been a positive development for the game, which will no doubt have a huge influence on other teams’ thinking in the long run. And for that reason alone, they deserve much respect. Mayo have been similarly outstanding this year. Ever since they outclassed Dublin in the National Football League back in March, I’ve been convinced they could win the All-Ireland, and they haven’t disappointed since. It’ll be an interesting contrast in styles on Sunday, and it should be a great game to watch too. What is there not to look forward to? On any given Sunday, Croke Park is a pretty special place to be but packed with Mayo and Donegal football fans? That’s something that has to excite every sports fan across the country. It is moments like this that keep neutrals on the edge of their seats – why some of us were shouting at the TV during the semi-finals even though there wasn’t a Lilywhite in sight. Why one of my first memories of championship football is when my best friend’s Dad secretly painted the downstairs bathroom of their house in green and gold – he was from Donegal and it was the summer of 1992. Every county’s fans bring their own particular brand of passion but Mayo and Donegal – together? That’s just madness really. On the field, there are so many questions to be answered. Can Mayo perform on the big occasion and break the curse of the All-Ireland final? Will Donegal’s system be as effective as it was against Cork in the first of the semi-finals? Who will come out on top – Donegal’s beast-like half-back line or the speed and talent of the Mayo half-forwards? If Alan Dillon can play like he did earlier in the month, it will be one of the biggest tests to face the impressive half-back line but Karl Lacey’s dominance this year has been superb to watch and I’m looking forward to more of the same this Sunday. The hurling lived up to the hype – I’m just hoping Donegal and Mayo can as well, but if not, at least we’ll have some decent singing. Email “Here’s what our writers are most looking forward to in tomorrow’s All-Ireland final”. Feedback on “Here’s what our writers are most looking forward to in tomorrow’s All-Ireland final”.